Philadelphia magazine publisher Cyrus H. K. Curtis, circa 1900. There are two kinds of men who never amount to much," Cyrus Curtis liked to say, "those who cannot do what they are told and those who can do nothing else." En route to building one of the nation's most innovative periodical empires, Curtis clearly found the happy medium. Indeed, his Curtis Publishing Company was so savvy in its early twentieth century heyday that its two leading magazines—The Saturday Evening Post and Ladies' Home Journal—raked in some forty cents of every dollar spent on magazine advertising in the country. These magazines were not just commercial successes, either; they published some of the most important writers of the times and changed the way the magazine business operated. When he died, in 1933, Curtis was considered not just a giant in his industry but a true icon of American business. Cyrus Hermann Kotzschmar Curtis was born in 1850 in Portland, Maine, and grew up modestly, at best. "My father and mother had all they could do to keep the wheels going around without letting the neighbors know there was no oil with which to lubricate them," he later admitted. So, it came as no surprise, then, that his mother refused to underwrite his yen for Fourth of July fireworks when he was twelve. With 3 cents in his pocket, Curtis bought the last three papers from the neighborhood newsboy and quickly turned a 9-cent profit. He bought his fireworks. More importantly, the next morning, he signed up for a paper route of his own. Within a year, he saved enough to buy a small printing press and began to publish and sell his own newspaper, which did quite well until fire consumed his operation in 1866. For the next several years, he worked as clerk and salesman in Boston but could not shake the residue of ink in his veins, and in 1869 returned to selling newspaper advertising. Three years later, with barely enough capital to get started, he had his own paper again. Curtis built the People’s Ledger, a weekly, around the reprint of long narratives—either fiction or nonfiction—that had been popular decades before. The Ledger did well for six years, until rising printing costs ate up his profits. So, as Benjamin Franklin had done more than a century earlier, Curtis moved to Philadelphia. From the time of Franklin into the mid-1800s, Philadelphia had been the publishing center of Britain’s North American colonies and then the United States. Here, in the decades before the Civil War, it was home to the nation’s best-selling magazines for women and men: Godey’s Lady’s Book and Grahams. When Curtis moved to the city, it had lost that lead to New York, but was still thriving. There, in 1879, Curtis and a partner founded the Tribune and Farmer, a new publication primarily devoted to agriculture. To boost the paper’s circulation, Curtis inserted a one-page supplement he thought would appeal to women. Curtis’s wife, Louise Knapp, hated it, deeming it a laughable attempt by men to come up with useful advice for homemakers. So Curtis challenged her to run it herself. 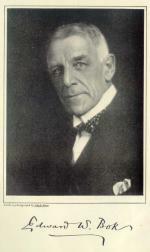 George Horace Lorimer, circa 1922. Ladies Home Journal editor Edward Bok, circa 1921. Together they made publishing history. Louise immediately replaced the clipped materials he had been running with her own originals. Within a few months, her column became a page, and soon the page evolved into its own supplement under her editorship. The supplement proved so successful that Curtis sold his interest in Tribune and Farmer. His new Ladies' Home Journal hit the streets in December 1883. Circulation jumped to 25,000 within a year, and it became the first magazine to reach a million subscribers by 1900. By the time Curtis died in 1933, circulation had reached more than 2.5 million. Despite its title, the Journal also appealed to male readers; during World War I, it was the third most popular magazine among American servicemen overseas. On the back of the Journal, Curtis built an empire. 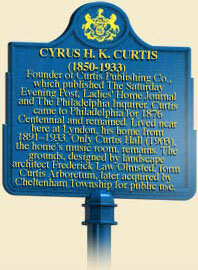 In 1891, he founded Curtis Publishing. Seven years later, he bought the foundering Saturday Evening Post, the successor of the Pennsylvania Gazette begun in 1728 and published by Benjamin Franklin, for a mere $1,000, and turned the bland weekly, on the brink of collapse, into a popular periodical with high quality writing and illustrations. Circulation reached one million in less than a decade, and eventually jumped to nearly three million. In 1911, he added the old farm magazine, Country Gentleman, to his stable, and turned it into the second most popular agricultural magazine in the country. Curtis’s formula for success was both old and new. Like Godey’s and Grahams before him, he published for the growing American middle class and assembled a team of trusted editors, including his own wife and his son-in-law Edward Bok. "I don’t edit magazines," Curtis announced, "I edit editors." Paying top-dollar for top writers and illustrators, he attracted marquee names. Louisa May Alcott, Mark Twain, Rudyard Kipling, Jack London, Theodore Roosevelt, Owen Wister, Stephen Crane, and Bret Harte were all featured in his pages. Using new printing technologies, Curtis became the first magazine publisher to rely on color illustrations, and the first to change covers every month; the Post’s long relationship with artist Norman Rockwell led to some of the most instantly recognizable covers in magazine history. Curtis Institute of Music, Philadelphia, PA, mid 1920s. Curtis Institute of Music, Philadelphia, PA, 2004. Curtis also altered the nature of advertising and market research, utilizing both in a large scale and unprecedented ways. The first major magazine publisher to reduce subscription prices to below the cost of production, Curtis relied on the revenue from advertising for safe and reliable goods and services that would appeal to the growing millions of national, middle-class consumers. Unwilling to compromise the quality of his magazines, he refused to publish ads for patent medical products, cosmetics, cigarettes, and financial schemes that he believed targeted the inheritances of women. In the early 1900s, Curtis also made pioneering use of market research. In 1911, he established the Division of Commercial Research, managed by Charles Coolidge Parlin, who soon became known as the founder of market research. 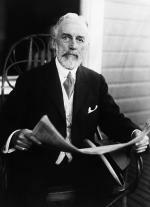 Under Parlin’s direction, Curtis Publishing researched nationwide markets, subscriber demographics, product distribution, and competing magazines to increase the success of their advertisers’ products, and thus boost Curtis's revenue from advertising and magazine subscriptions by enhancing its magazines’ credibility. 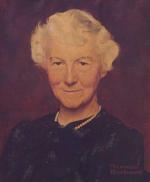 Mary Louise Curtis Bok, by Norman Rockwell. The advertising and market research innovations pioneered by Curtis Publishing were soon embraced by magazines across the country. By presenting readers with advice on how to spend their money and their time, Curtis’s Ladies' Home Journal, Country Gentleman, and the Saturday Evening Post helped to create the modern American consumer. In the early twentieth century, the Curtis Publishing Company became one of the most influential publishing houses in the United States. One of the most popular magazines in American history, the Saturday Evening Post soared from a circulation of one million copies a week in 1909 to seven million in 1961. To distribute the magazine, Curtis developed a multi-layered field organization and used thousands of adults and "boy salesmen" to deliver copies of his magazines to every town and village in the United States on Wednesday of each week. In the 1940s, the company opened this distribution service to other publishers, including Bantam Books, which launched with twenty titles in December 1945, and Wonder Books, which came to Curtis in 1949. Not everything he touched, however, turned to gold. In 1913, Curtis opted to expand into newspapers with dismal results. And while he eventually owned three of the most important papers of his time—the Philadelphia Inquirer, Philadelphia Public Ledger, and the New York Post—the combination of poor management and listless content eventually forced him to sell all three at significant losses. Still, Curtis's magazines prospered, as did Curtis himself. At the time of his death, he was reputed to control one of the five largest fortunes in the nation. 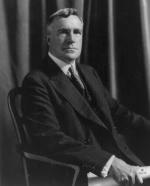 A generous philanthropist, he spread his wealth throughout the Philadelphia region, making significant contributions to regional universities, medical schools, and hospitals, the Franklin Institute, the Philadelphia Opera, and the famed Curtis Institute of Music, founded in 1924 by his daughter, Mary Louise Curtis Bok. The arrival of television after World War II would bring about the collapse of general interest periodicals like the Post and the Journal. In March 1962, Curtis Publishing lost money for the first time since its incorporation more than seventy years before. Curtis Publishing sold The Ladies' Home Journal and The American Home in 1968 and the Saturday Evening Post, the last of its magazines, in 1982. Lyndon, his country estate in Wyncote, with its magnificent gardens, is listed on the National Register of Historic Places. To honor her father, his daughter turned it into an arboretum after his death. Walter Deane Fuller, The Life and Times of Cyrus H.K. Curtis, 1850-–1933 (Philadelphia: Curtis Publishing Company), 1957. Jennifer Scanlon, Inarticulate Longings: The Ladies’ Home Journal, Gender, and the Promises of Consumer Culture (New York : Routledge), 1995. Douglas B. Ward, A New Brand of Business: Charles Coolidge Parlin, Curtis Publishing Company, and the Origins of Market Research (Philadelphia: Temple University Press), 2010.